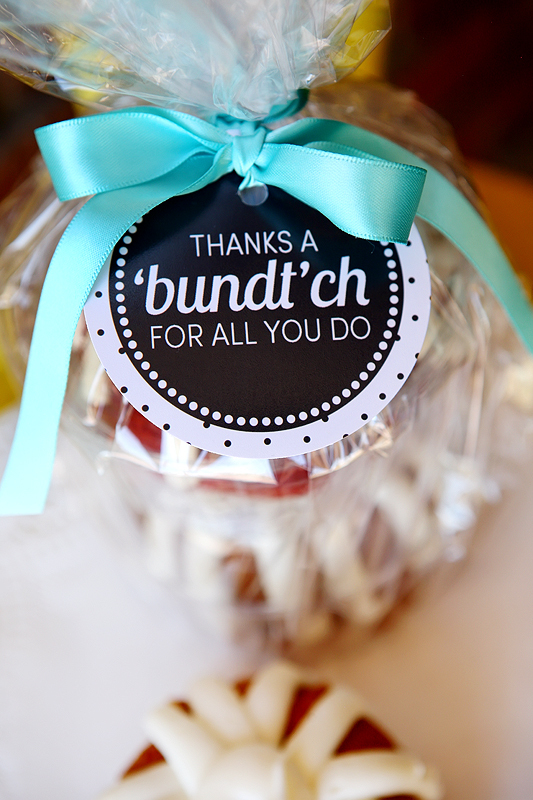 Teacher gifts are one of our favorites to put together. We love to show our teachers that we truly appreciate what they do for our kids. This year we plan to show our appreciation with something sweet! One of our favorite treats + a cute tag = a happy teacher. • then just add your tag before you tie the bow. 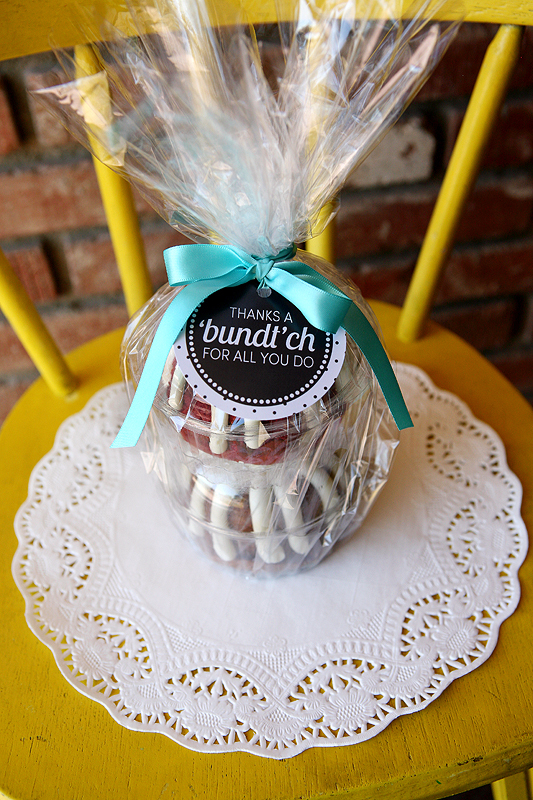 I LOVE Nothing Bundt Cake, but we don't have one here in AR 🙁 Totally cute though! I may have to just whip a few of my own bundlets for this one. Thanks!! I can't get that scene from "Big Fat Greek Wedding" out of my head. "A bun? It's a bun?" They look yummy nonetheless. Cute idea. My husband is a teacher and usually doesn't love food gifts, but I think he would LOVE getting a cake! Cute idea! are your cakes in some type of container other than the cellophane? 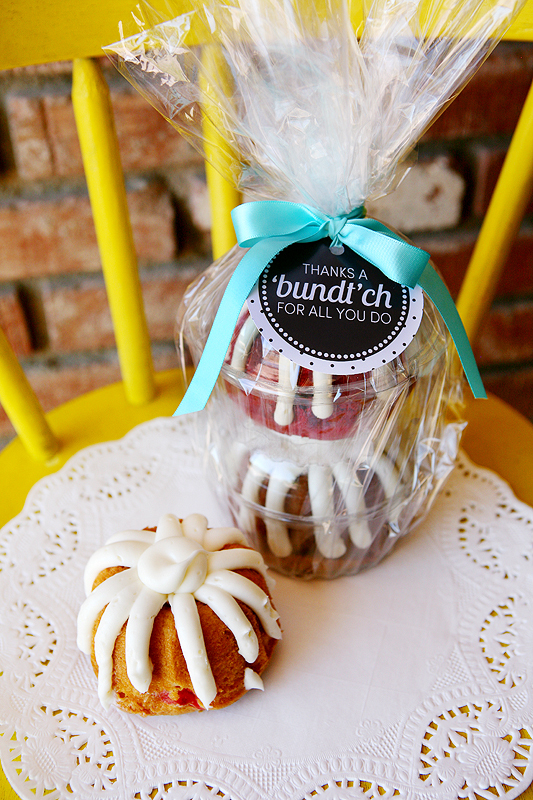 hi lauraa… yes, the cake bundtlets come in individual plastic containers.